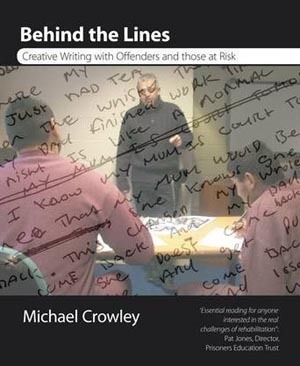 Michael Crowley, a UK writer and youth justice worker, is convinced about the value of creative writing as a tool supporting rehabilitation. His handbook, Behind The Lines, is the product of 15 years working with offenders and people at risk, in prison and in the community. 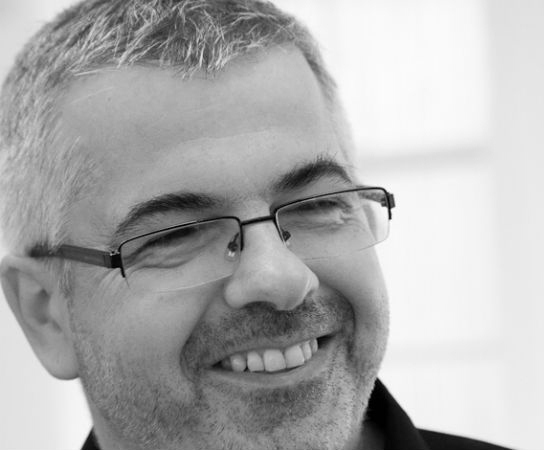 It is based on his extensive experience of using creative writing to change and improve thinking and behaviour and to prevent crime. Michael Crowley talked to Arts Access Aotearoa via Skype. In this interview, we share the insights of someone who has dedicated much of his life to making a difference in the lives of prisoners and people at risk. A. Yes, if they want to. You can sometimes tell by the way they think and the plans they’re making for when they get out. That kind of thing. But bad, anti-social behaviour tends to be something you grow out of. You don’t usually wake up one day suddenly transformed. Q. How can creative writing change the behaviour of someone who had been making bad choices? A. Writing will get them to think about their behaviour. It’s often therapeutic because it can get them to address why they’re inside. It also makes them aware of the damage they’ve done to others and gets them reading. Q. Does creative writing by offenders differ from that of non-offenders? A. Well, it’s interesting because I teach part-time at Edge Hill University and also to lads (at risk youth) and prisoners. The lads in prison will have much more internal and external conflict in their lives. They have more emotional tension in their relationships and with their families, which are often in crisis. There’s always something dramatic happening in their lives. So their work is raw, direct and full of conflict. They are also looking to explain something for themselves: it’s a given that they’re sitting in a prison because something hasn’t gone right. In contrast, the work from university students has a more cerebral and contemplative voice. Q. Tell us a bit about yourself. What was the seed that encouraged you to take this path into teaching creative writing in a prison environment? A. I came from a working-class background – the only person from my school who went to university. I saw a lot of friends who were bright but fell through the cracks. The seed of injustice was there inherently in the class system. But I fell into working in restorative justice where my job was preparing children and families to meet the victims they had harmed. Over time, I discovered there was no point asking young kids how they felt about the victim when they didn’t know how they felt about themselves. I sort of empathised with this and started to do a lot of writing about young offenders. And things progressed from there. Q. What’s one piece of advice you would give to a tutor about to teach creative writing to young offenders? A. Get behind the exterior – the role the lads are playing. Try to find the behaviour that allows them to open up, either in private or in small groups. Q. Do you grow attached to your students? If so, how do you deal with it? A. I’ve been working with offenders for 15 years and I keep them at arms length. I was told by a good manager: never get emotionally involved or you’ll burn out. When I was working in youth justice, I was the longest-serving worker. Most were done by six months because they got too involved emotionally. In saying that, I do get tainted by some of the things, the crimes, they’ve done. But I try to theorise about it. Q. The craft of writing demands a lot of discipline and perseverance. How do you instill those qualities of behaviour in offenders? A. Crime demands little effort for maximum reward – at least in the short term. Art is the opposite, requiring maximum effort often for little financial reward. In life, we do and say things we can’t undo. So I tell them that with writing, we can cross it out until we’ve made it as good as we possibly can. This is something they can get right. Original generation time 2.2713 seconds.